Hot deal! 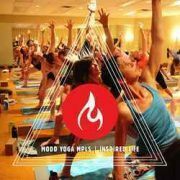 The season for hot yoga is just starting so take advantage of great offers from Modo Yoga in Minneapolis. Receive two months of unlimited yoga for just $100 or four months for $200. Valid for new customers only. Limited quantity available.